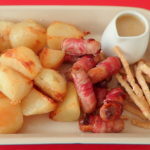 How do I cook my roast potatoes? I have been asked this a few times in the past week. So I have decided to do this guide. 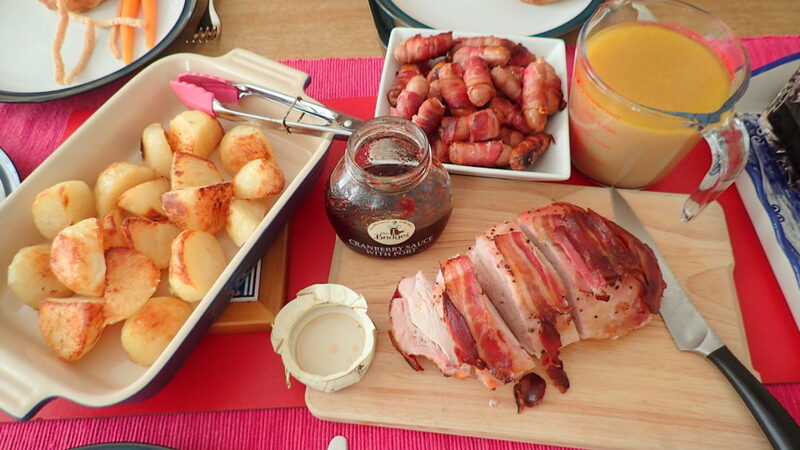 My family love roast potatoes this way. As this is full of fats and carbohydrates I have designated this to a treat dish and usually only served this once in a few months except the month of December! December is Christmas month so it is a whole month of treats (SHOCK) This may take a bit extra work but it is totally worth it. 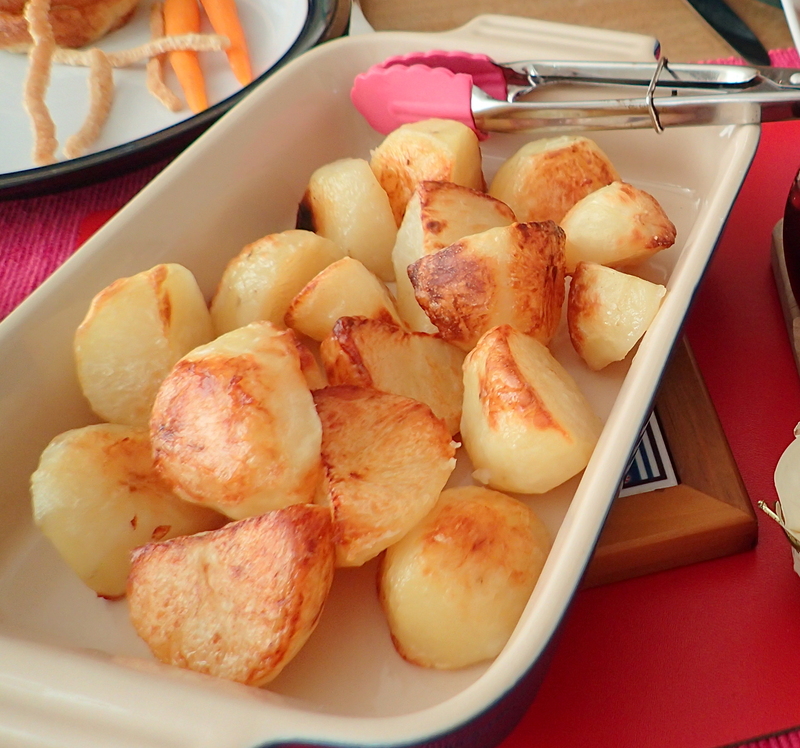 The daughter loves roast tatties. Heat oven to 220C/200C fan/gas 6. 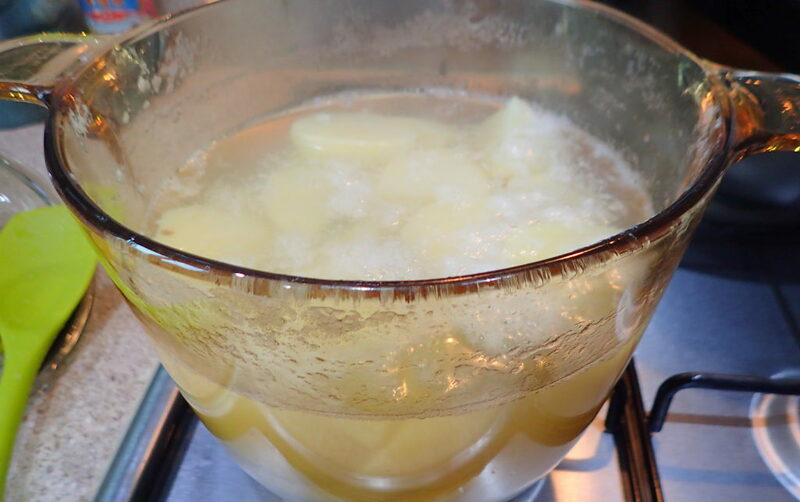 Bring a large saucepan of water to the boil, add the potatoes, then boil for 5 mins. 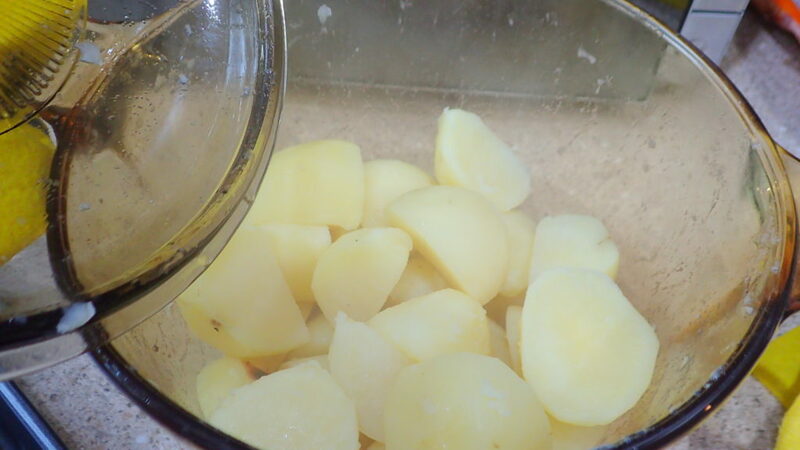 Drain the potatoes well, then place them back in the pot and shake to roughed up the edges a little. 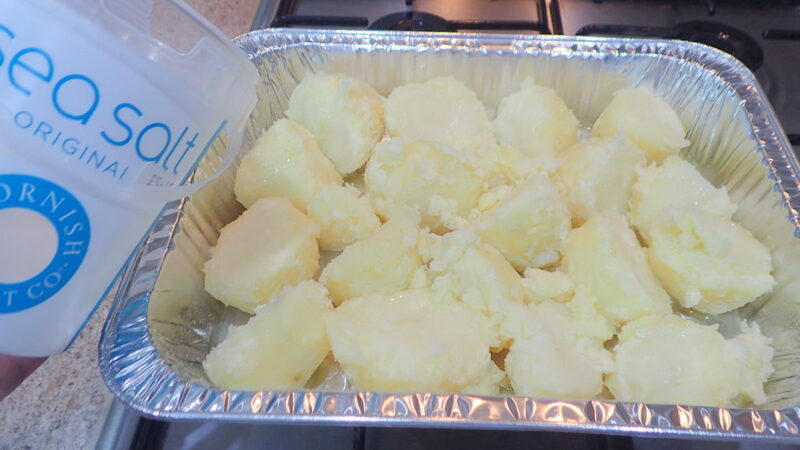 Tip into your largest roasting tin and sprinkle with the flour and some salt. 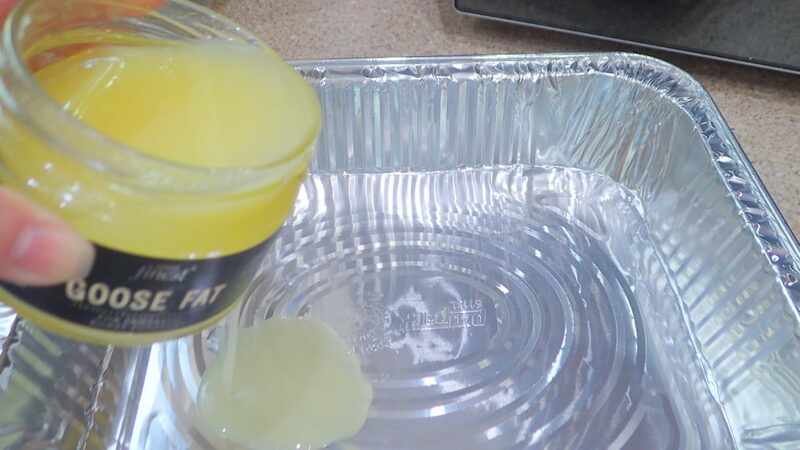 Stir, then drizzle over the oil and stir again so that no dusty flour remains. 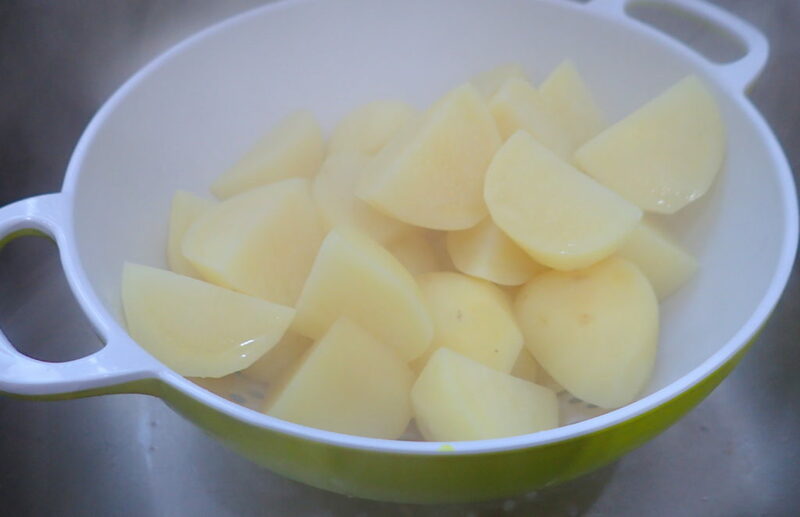 TIP – Oil your pan first so the tatties won’t stick.